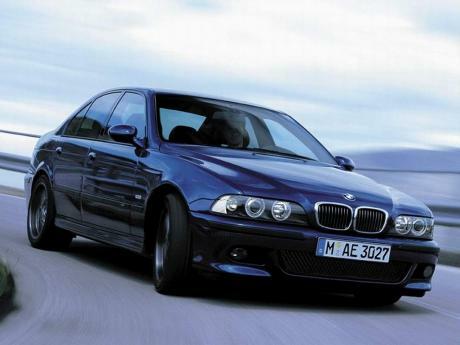 Top speed for both the E39 and the E60 M5 is 310 kph ungoverned. 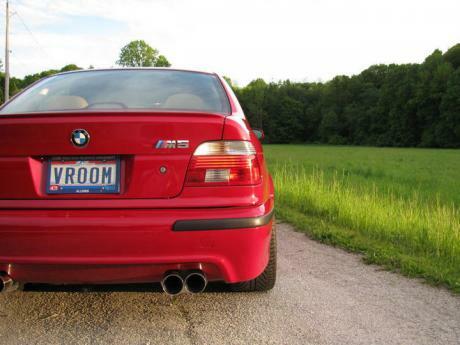 Best M5 ever in my opinion. Top speed is 300 kph when unlimited. We should change the max speed I think. 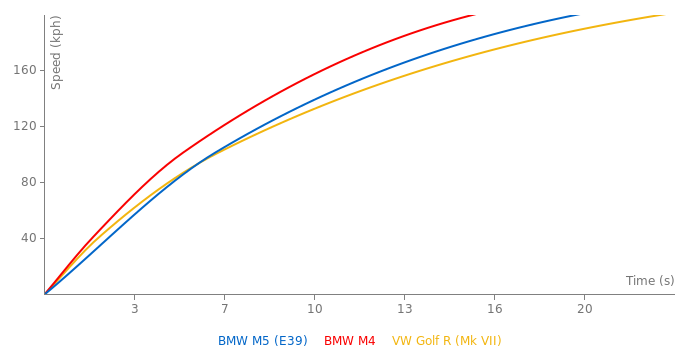 this car is able to hit 186 mp/h when it's delimited. 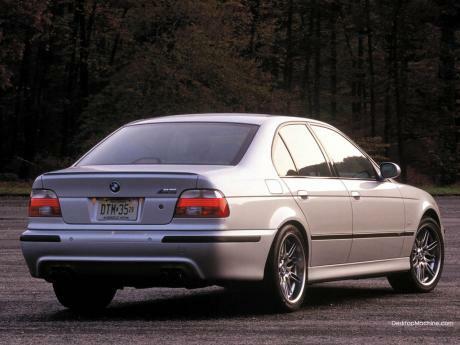 The 1998 BMW M5 is a fast, magnificent car, but I seriously doubt it'll do 198 MPH, 180 maybe, but not 198. Cough, cough.. 198 mph?! This M5, being stock? Uhm, present the source on that. Anyway, I love this car. Quite soon it will become classic. The great tech, nice design. And if that 198 mph are true, then even more! 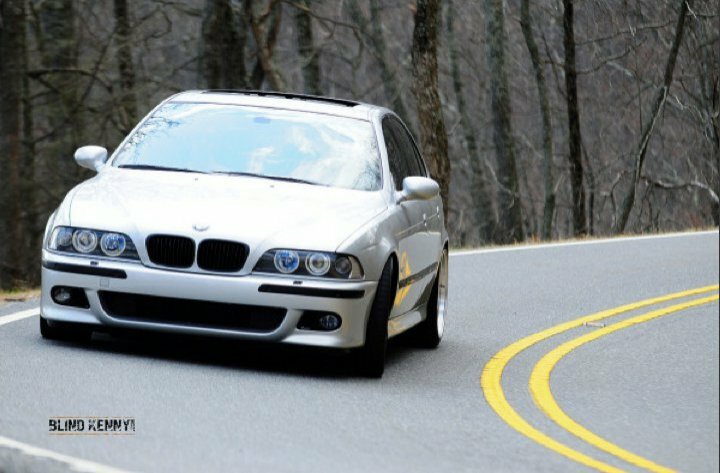 I do not know how reliable this is, but supposedly Sabine S. did a top speed run in a stock e39 M5 on the Nurburgring with 3 others in the car. 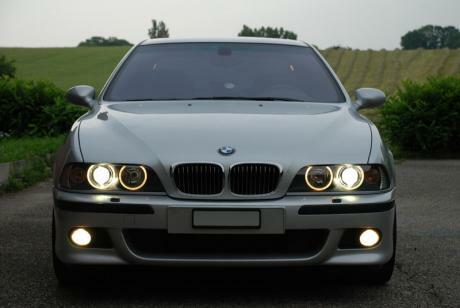 The German spec car has no 155 mph limiter, and supposedly she reached over 190, i think the number claimed was 198 mph. @ KarlR: I don't know, but if anyone could, it would be Sabine Schmitz, she has mad skills at that track, so I wouldn't be surprised if she did. 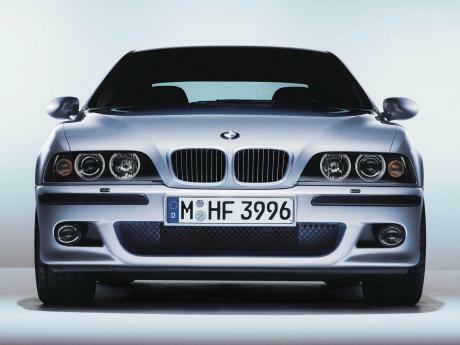 Didn't Sabine Schmitz did the Norschleife in 8:16 in the E39 M5? 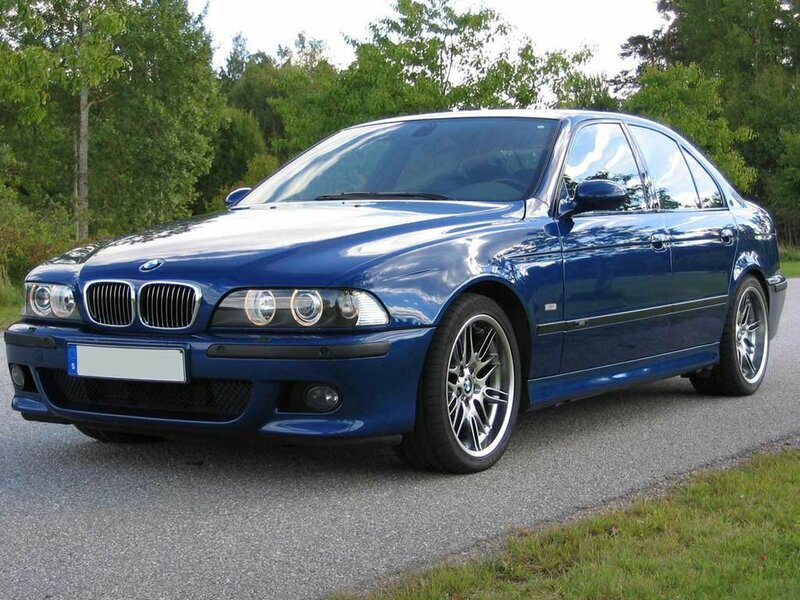 M5 e39 is in my opion the best ever sports saloon car made.I have one from brand new and it now sits at 240000km and every time I drive it,is like a new experience.So long live the super beast. 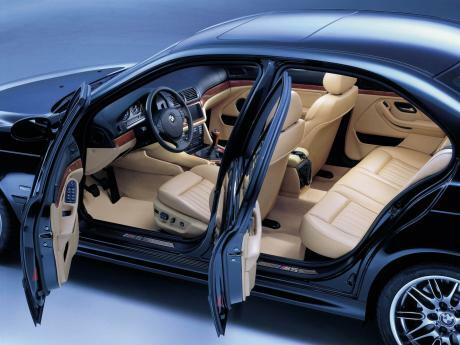 Great Car but best sports saloon ever, Lotus Carlton. Best car ever made HANDS DOWN! My first V8, had it for 3 years now and continue loving it as it was the first day! 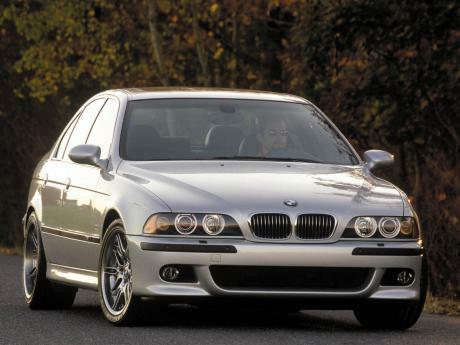 The e39 m5 is a definitive classic of the 90's. Clean styling, a great engine and just a complete package overall. Could do with better brakes stock and a more precise gearbox but those can easily be resolved with the aftermarket (an expensive one). 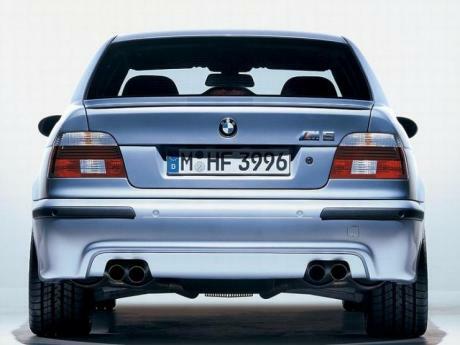 This car was easily capable of 0-60 in under 5 seconds with a capable driver and the right conditions. 187mph huh? and its definetly NOT the Best Bang For Your Buck anybody can purchase today, Definetly Not. Engine is very solid. Maintenance can be expensive though. 0-60 can be done in 4.6s btw in stock form. 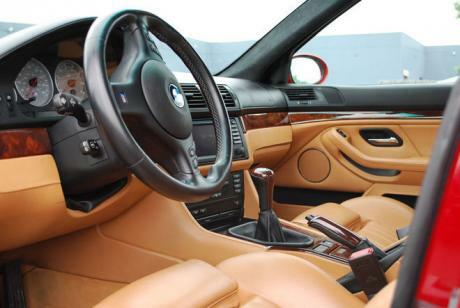 With the speed limiter removed, a base M5, no after market mods, will do 187mph drag limited. Put on some mods and the top speed climbs higher. Best bang for the buck vehicle anyone can purchase today! I purchased mine 2 years ago when the prices were much higher but I don't have one regret. 1/4 can be done in 13.1 in stock form with decent tires. I love this car but keep hearing lot's of engine problems. Is it true? i ment $73k when there where brand new, not in todays listings. 73k?! youd be out of your mind to spend that much i gurantee you will find one for under 20 easy! unlimited it will do around 170mph, but i dont know if id spend $73,000 on this?